What does the intiative include, and what are the objectives and outlook for China? China's Belt and Road Forum (BRF), the highest-level international conference held by China since the Belt and Road Initiative inception in 2013, was recently under the spotlight. Thousands of international representatives gathered in Beijing, including leaders from 29 countries. In his keynote speech, President Xi unveiled a list of impressive schemes, including 1) an additional 100 billion RMB capital injection into the Silk Road Fund, 2) 250 billion and 130 billion special RMB loans, offered by China Development Bank (CDB) and EXIM Bank respectively, to facilitate infrastructure and financial cooperation among the countries, and 3) firm support for financial institutions to conduct RMB fund business overseas with an estimated size of 300 billion RMB. The list goes on as China’s blueprint rolls out. This forum served as an avenue to demonstrate China’s national will, economic strength and influence to proceed the Road Belt Initiative after 4 years of promotion. Why now? We believe a couple of factors, both domestically and internationally, lead China to reiterate the initiative at this precise time. As per domestic side, China’s macro economy, notably GDP growth and RMB exchange rate, stabilized and showed positive signs in the first quarter. This allows China to put more attention on international collaborations. Meanwhile, trade protectionism in developed countries, especially in the US, has resulted in multilateral trade conflicts and even a deadlock of globalization. 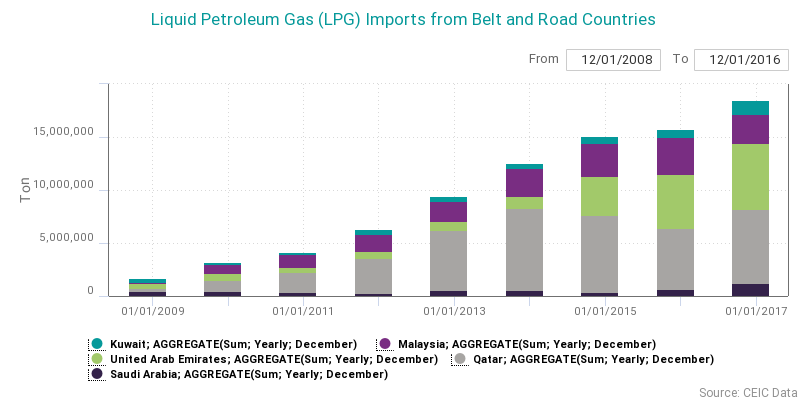 Thus, it is a very good timing for China to take the lead in refueling globalization. 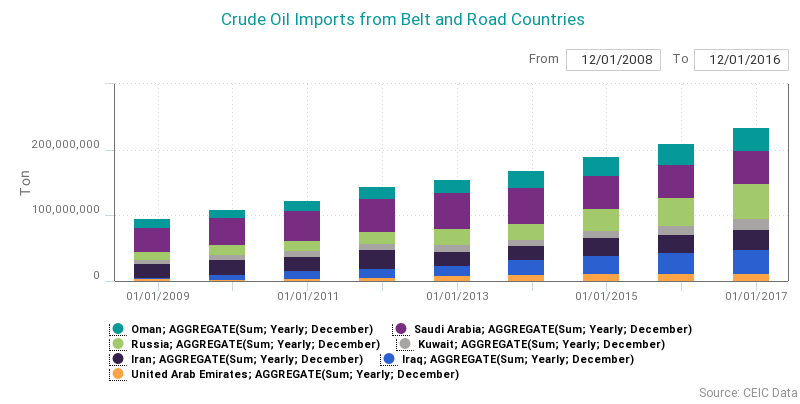 In basic terms, ‘The Belt and Road Initiative’ contains two groups of regions. 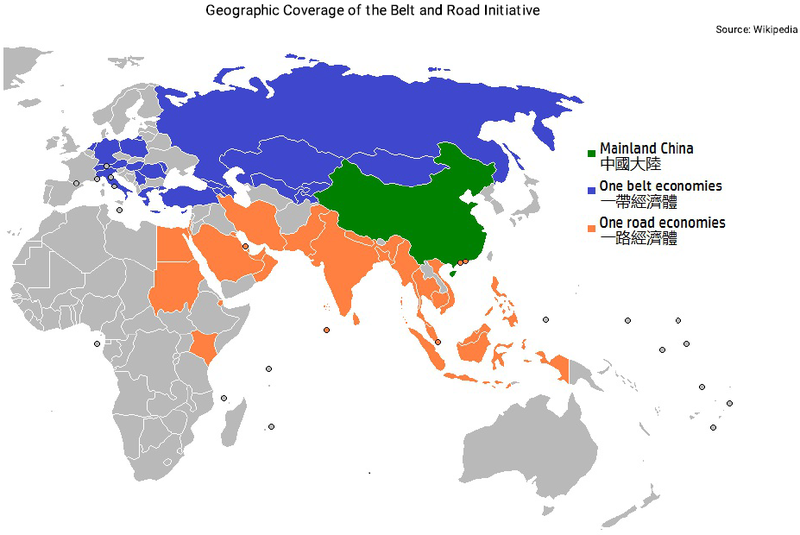 The 'Belt’ is the Silk Road Economic Belt, which is an intercontinental corridor mostly analogous to the ancient Silk Road in the Han Dynasty. 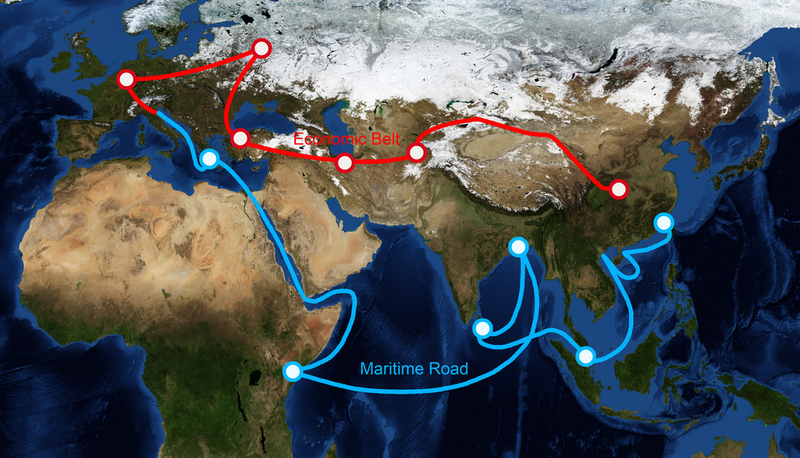 The 'Road’ stands for the 21st Century Maritime Silk Road, first proposed by President Xi in October 2013 and is an extension of the traditional Silk Road to enhance economic ties in Southeast Asia, Oceania and Africa. At first glance, it seems overwhelming to gain a clear understanding of the Belt and Road Initiative as there are 77 member countries in the Asian Infrastructure Investment Bank (AIIB) as of May 2017, and 60+ countries across the Belt and Road. In this template, we divided the Belt and Road Initiative countries into 8 geographic regions mainly based on classification by HKTDC, which refers to a list from Chinese Academy of Social Sciences. We’ll walk through the economic factors, trade, investment, and financial market conditions of the Belt and Road Initiative countries to showcase the whole picture to readers. 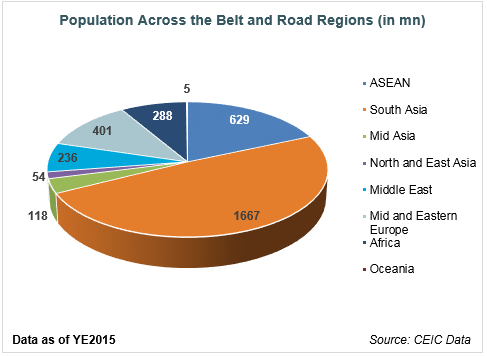 The Belt and Road regions are densely populated. As per population size, 6 out of the top 10 initiative countries are from Asia. India ranks first, followed by Indonesia and Pakistan. In total, these countries account for nearly 3.4 billion of the population (excluding China), half of which are concentrated in South Asia. This is obviously a massive market to tap into. The GDP list offers a different picture. Only 4 populated countries (India, Indonesia, Russia and Turkey) have a sizeable economy as well, which implies dispersed GDP per capita across the Initiative countries. Clearly, countries in the South Asia, Africa, Mid Asia, and ASEAN are relatively less wealthier than their peers in Oceania (New Zealand), Middle East, East and North Asia (e.g. South Korea), and Central & Eastern Europe. Stronger economic growth is more likely to occur in these countries if better infrastructure and more open trade are in place. Hence, they may benefit more from the Belt and Road Initiative. 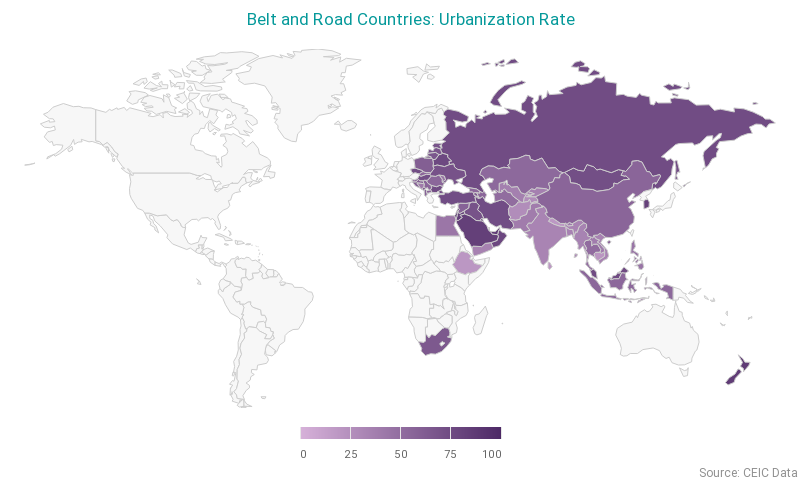 As Road Belt Plan aims to enhance infrastructure across the Belt and Road Initiative countries, we examined urbanization rate and rail length to determine the development potential of each country. We used China’s urbanization rate (urban citizens as % of total population), of 56% as of 2015, as our benchmark. According to our data, there are still 31 countries less urbanized than China and 17 countries with urbanization rate below 40%. Among the 17 least urbanized countries, 15 countries are concentrated in Asia, of which 6 countries are in South Asia (Sri Lanka, Nepal, India, Bangladesh, Bhutan, and Pakistan), 5 in ASEAN (Cambodia, Timor-Leste, Vietnam, Myanmar, and Laos) and 4 in Mid Asia (Afghanistan, Tajikistan, Kyrgyzstan, and Uzbekistan). In terms of rail length, Central and Eastern European countries have well-developed railway infrastructure. 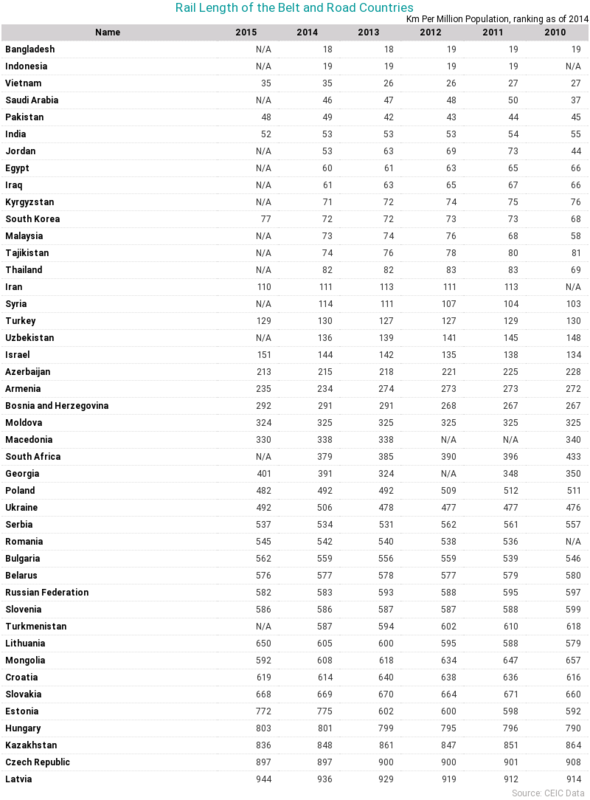 However, 14 countries still have less than 100 km railway for every million people as of 2014. Our summary table shows that countries in the ASEAN (4), Middle East (3), and South Asia (3) have less developed railway facilities. These nations clearly have more urgent demand in developing infrastructure to enhance logistics, particularly in Tajikistan, Kyrgyzstan, Vietnam, Bangladesh, India and Pakistan, which are also the least urbanized nations. 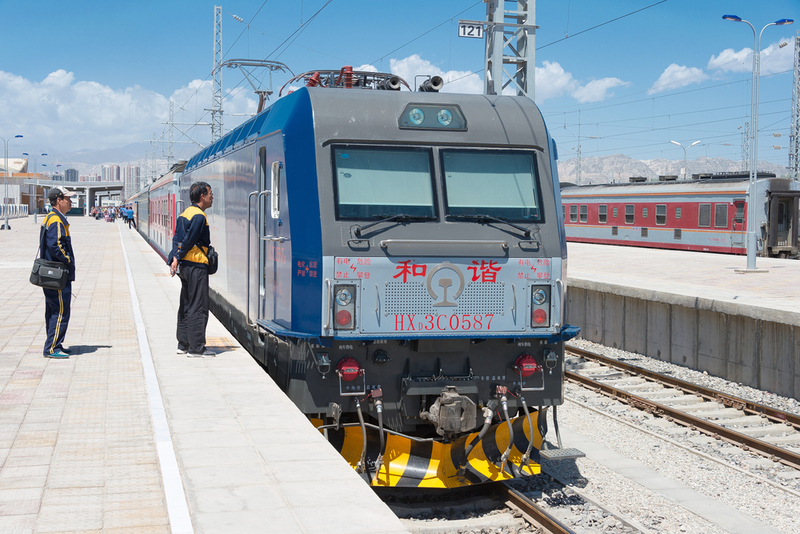 Thus, they should be on top of the list for China’s rail technology export. From a foreign trade perspective, almost all the Belt and Road Initiative countries (except Russia) at the top of the total trade list with China, are from Asia, implying closer economic ties between Asian countries and China. Trade is another hot agenda within the Belt and Road Initiative. In recent years, China has signed a list of free trade agreements (FTA) and a Memorandum of Understanding (MoU) with the Belt and Road Initiative countries. Through deepened trade collaborations, China is able to import greater amount of industrial materials and energy resources from Initiative countries for national security and consumption. Looking forward, the trend will continue and there is still plenty of opportunity to boost bilateral trades by removing tariffs between China and the Belt and Road Initiative countries. For overseas investment Singapore, Russia, and Indonesia rank top in both outward FDI balance and FDI flow as of 2015 since they are more familiar with Chinese domestic investors. As the initiative proceeds, Chinese investors are expected to have more presence in other Belt and Road countries, especially in many smaller and more opening frontier markets. 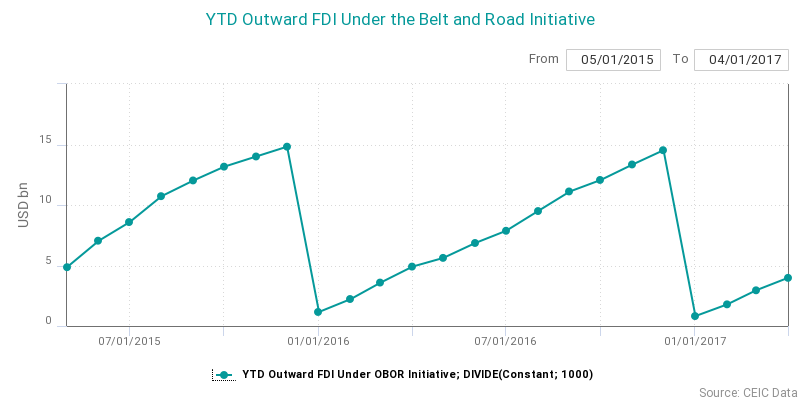 Generally speaking, financial markets across the Belt and Road Initiative countries are still under developed in terms of market depth. We have listed the top 10 countries by stock market cap in addition to China and HKSAR. Obviously, none of the Initiative countries have as much market depth as those in China and Hong Kong. If we aggregate capital markets of China and Hong Kong together, the size will be 10 trillion USD and completely dwarf the subtotal of market cap of the top 10 Belt and Road countries (8299 bn USD). This clearly indicates that Chinese capital markets are much deeper and liquid for listing, and there could be a number of IPOs from the Initiatives countries listing on Chinese markets for more efficient financing in the future. Thank you for reading our whitepaper on the OBOR Initative.